Hi Vladimir, why do you think our team is weak? 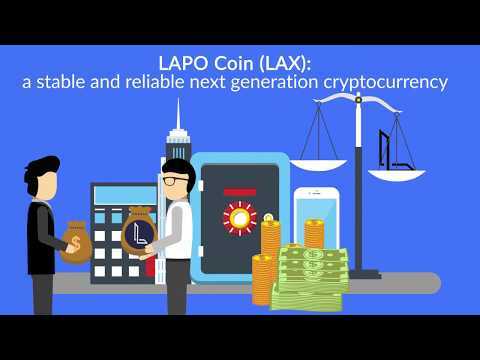 LAPO aims to provide state-of-the-art financial tools for crypto-payments, exchanges and more financial services. Team is actually pretty strong. Think the main reasons why other advisors voted it down was because for "team", they segregated into core team and non-core team. I love the vision of a stable cryprocurrency in a volatile market. But good vision does not mean a good product and I hope it can be a good product though. The most concern is for your team which is frankly not a strong team for this project. Need to improve it. Hi Tran, thanks for the feedback, we are actually onboarding new Advisors and Team member in the area of AI & MFT. Team is good. MVP is good. They have created Wallet already which is good. Whitepaper is detailed. need to put some more financial and marketing information. For Lapo to become successfull, they need to spend lot money in marketing the project. Best of luck team. Team good with Experienced Advisory Board. KYC Done. Great Vision. Need some improvement in financial and marketing information. Wish them to get proper success. Team looks good, but it needs more members to successfully implement this project. The vision is not quite original, but I am curious how they will implement it in their own way. MVP looks good as well. The idea is not the most exciting, but it is very complete, detailed and complex. The team is perhaps to be expanded slightly. The advisors are fine. For a project of this kind, in my opinion, an ICO is not the best method of funding. The LAPO team has a lot on its plate. One can wonder if they're not going to spread too wide trying to do everything. Their team looks decent even though a bit more experience would have been appreciated considering the huge roadmap they want to take on. Their community is fairly active, they have a partnership with IBM and are highly rated among the crypto companies in Zug, the Swiss Crypto Valley. This is always good for marketing but it seems not many people know about it yet. However, they seem decently well connected and I'd say have an above average chance at getting adoption. Their wallet is out and working as expected. The blockchain is running, MNs are set up. It seems to be working well minus some little issues they recently experienced and seem now dealt with. I believe they have the potential to do great things.